When a couple discovers that they are having trouble trying to conceive a child, they may get many suggestions and options how to help. They can use a calendar to find the best days of the month to try, they can try fertility medications, or they can look into the possibility of adoption. Either that or you can do what Jennifer Garner and Joel Edgerton do in The Odd Life Of Timothy Green and wait for a child to pop up in your backyard. Disney has released the first poster for and Trailer Addict has posted the first trailer for the fantasy film, which was directed by About A Boy/What's Eating Gilbert Grape? filmmaker Peter Hedges. In the film, Garner and Edgerton play Cindy and Jim Green, a married couple that learns that they can't have children. As a way of coping, they begin to write down exactly what they would want their perfect child to be like. 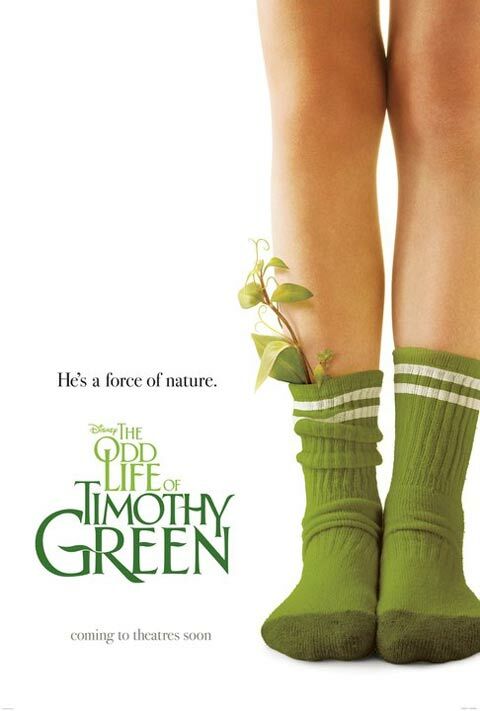 After putting the notes in a box and burying the box in the backyard, a miracle happens and Timothy Green is born. Check out the trailer and the poster below.